Telecom company Bharti Airtel has made changes in its two prepaid plans due to competition with Jio Plans. Under this, Airtel has increased the validity of its own plans. Reliance Jio recently introduced 1GB of data per day with a recharge offer of Rs 149. This offer is the cheapest pack in the market. Airtel also has a recharge plan of Rs 198, in which unlimited calls is also provided with 1GB per day data. 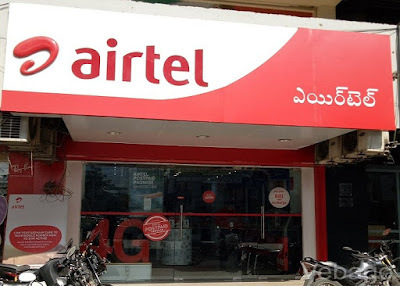 Airtel has increased the validity of its plans of Rs 448 and Rs 509. The 448 rupees plan is available with unlimited voice calls and 1GB data per day with a validity of 82 days now. This means that the total will get 82GB data in this pack. Prior to this, the validity of this pack was 70 days. The Airtel Rs 509 plan was presented with the validity of 84 days at last December. There is also a plan available in Reliance Jio at the price of Rs 509. This plan first came with validity. Airtel had previously given Unlimited Calling, Roaming, 100 SMS per day and 1GB of data per day at Rs 509 per day. Now the validity of this plan has been done for 91 days. This means users will now get a total of 91GB data. In its comparison, Reliance Jio has also increased the validity and the daily data. The company's prepaid recharge of Rs 498 comes with 91 days validity and 1.5GB data per day. Earlier this plan had a limit of 1GB data per day. That means now Jio is offering 136GB data instead of 91GB. Jio has a validity of 49 days with a plan of Rs 509, but this plan comes with 2GB per day data limit. This means that users get a total of 98GB of data. Unlimited Calling and SMS access to Jio Apps along with the company's plans.